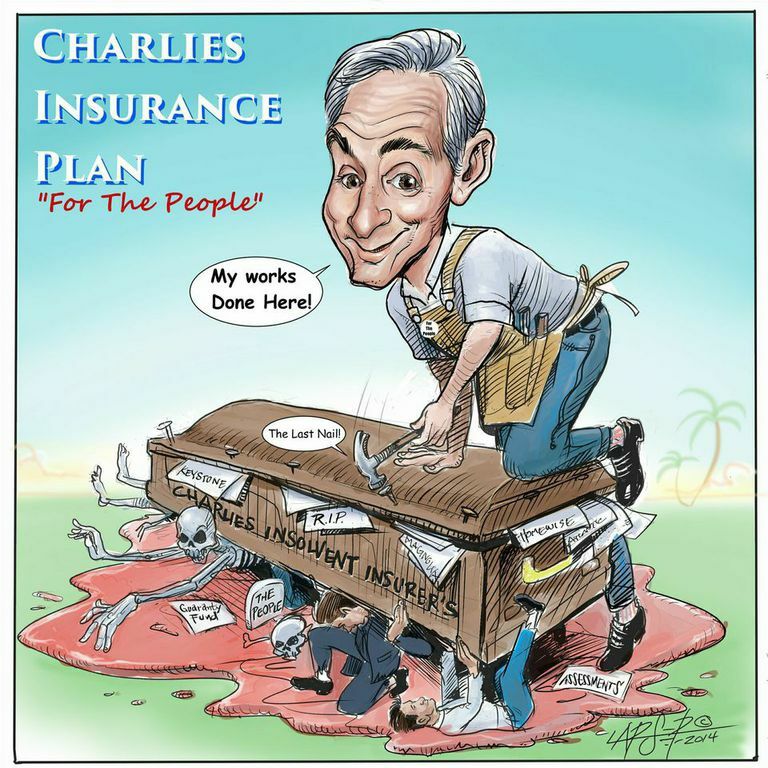 You’ve already heard about Charlie Crist’s New Insurance Plan. A rewrite of the historical record ignoring some facts and distorting others to obfuscate damage from the first insurance plan he pushed through in early 2007. I and many of my colleagues were first hand participants in the debate on all the bills of relevance, including: Crist’s January 1, 2007 package, HB-1A; SB-2044, which he vetoed against the advice of his own appointed commissioner, HB-1495 signed by Crist in 2009 which increased reinsurance costs and allowed Citizens to raise it’s rates, and; SB-408, which finally got the ship back on course under Rick Scott. In this latest campaign piece, team Crist mischaracterizes the language, intent and impact of all four. Don’t trust me on this. See for yourself–which is accurate and which side distorts. You can do this by reading both the Crist piece and this alternate compilation of the same facts before you decide. In the meantime, here are some thoughts to keep in mind. After the 04/05 storms only one major insurer failed, the overexposed and mismanaged Poe Financial. There was one insignificant other, the much smaller, American Superior. But, the point is, Florida survived the worst hurricane onslaught in American history. Eight hurricanes hit our peninsula in sixteen months–one every 60 days. Only one (and a half) insurer failure of any significance? Amazing! Then came Charlie Crist eyeing Washington and looking for a crisis to solve. It didn’t matter that his solution was a Ponzi scheme. Or that irresponsible rate roll-backs would cause sticker shock increases down the road. He would be gone. There were five times the number (10 or 11 depending on who you talk to) of insolvencies from Crist’s HB 1-A, his solution, than from the temporary problem he was trying to fix. All without even one hurricane. It didn’t matter that assessments would burden those who didn’t even own property. It didn’t matter that false and inflated wind mitigation credits would deceive homeowners into thinking their homes were safer. It didn’t matter because Crist would have a permanent job in America’s most tenured institution, the US Senate. In signing SB 408, Rick Scott allowed insurers to increase sinkhole coverage deductibles to as much as 10%. Most insurers today, including two of the three largest in Florida, now only write policies with a 10% deductible on sinkhole premiums. Such a large deductible results in a substantial decrease in coverage. No mention that there was a crisis? No mention that it was Crist’s HB 1-A that divided sinkhole coverage between real sinkholes (Catastrophic Collapse) and sinkhole activity (driveway cracks) so eventually consumers could reject the latter altogether, which they now almost all do. No mention that the 10% deductible applied only to driveway cracks and that deductibles for true sinkholes remained unchanged in SB-408, the same as on all other perils except wind. And, here’s the kicker. Charlie’s HB-1A included language on a 10% deductible for hurricanes–10% of the dwelling amount! He chose not to change that while at the same time allowing a 2% hurricane deductible for dwellings valued as low as $100,000. After Crist took office sinkhole claims exploded, especially in Sinkhole Alley . The average claim payout…$140,000! And, in 80% of the cases there was no sinkhole. The money was spent on vacations, new cars or to pay off a mortgage. WHY? During his first two years in office trial attorneys and public adjusters made $21.4 million in fees in closed sinkhole cases. OIR reported that the average payment to an attorney in a closed sinkhole case was $32,237, and the average payment to a public adjuster was $22,384 per sinkhole case. Crist’s campaign contributors were directly benefiting at the expense of those their candidate promised to help. One chief beneficiary was later to become Crist’s employer, Morgan & Morgan. In 2010 Citizens only took in about $30 million in sinkhole premiums but paid out $245 million in sinkhole losses. Rates soared over $4,000 to $5,000 per policy from the only insurer still willing to insure sinkholes at all; Citizens. Fortunately…that’s all history now. Crist’s history! …RATES OVERALL ARE GOING DOWN! For Citizens and the private market. For almost seven years I’ve been working (and voting) to change things in Florida’s property market to the way they used to be…”The Way We Were”. In November, finally, I’ll be voting to keep things the way they are. NOTE #1: Johnson Strategies, LLC is proud to welcome the talented cartoonist Lars-Erik Robinson to the team. NOTE #2: You may have received a notice that Johnson Strategies was “hacked”. I’ve retooled, changed passwords and rewritten this post twice after a hacker redirected hundreds of readers to his message that his/her hack job was due to “political reasons”. I have no idea who was behind this or why, but…I’m hot on their trail and will let you know if/when I find out. Scott, Thank you for refreshing our memories. I especially like the piece you attached and will continue to spread the word. Your comment about Charlie Crist’s solution being a “ponzi scheme” reminded me of a great article your wrote for FAIA several years back about Charles Ponzi. I shall put you down as Doubtful in support of Charlie Christ. Funny. Yes “doubtful” on Crist. I am a lifelong registered Democrat, too. And, I supported Alex Sink when she ran against Rick Scott, but…Charlie is way too far off the reservation for me.